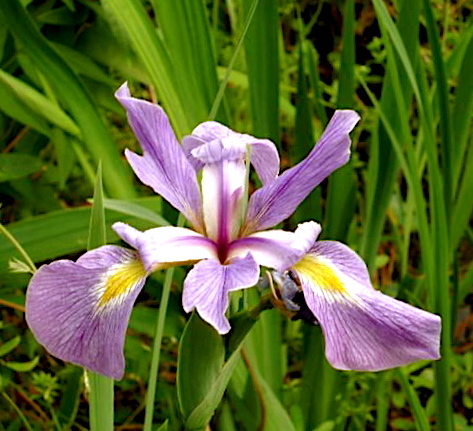 got on a wiki jag while thinking about flowers . 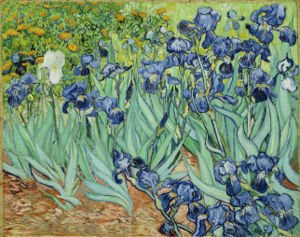 . .
“Irises” is a painting of iris flowers by the Dutch artist Vincent van Gogh. Van Gogh felt that he could keep himself from going insane by continuing to paint. Painted in 1889, it’s on display at the Getty Museum, Los Angeles, California, USA. in the 1976 film “Taxi Driver”.